This day excursion is designed for those who wish to enjoy the highlights of Pisa and Florence. 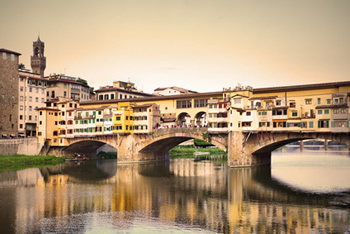 Continuing your tour along the scenic route in the Tuscancountryside, will arrive at the Renaissance city of Florence. Here you will explore the Church of Santa Croce, the Duomo and Baptistery, the Ponte Vecchio, the Pitti Palace, and the Piazza of Michelangelo. Moving on, you will stop at the Accademia, which houses Michelangelo's famous sculpture of David. You can also instead of the Accademia conclude the day with the Uffizi Gallery, after which you will be returned to the Port of Livorno. Pisa And Florence are partly wheelchair accessible. Please Book the tickets starting from 2 pm, note that the Accademia would take 40 min to visit and Uffizi about 1,5 hours. You can only visit one of the museums due to the lack of time.